Tom Obermark is a principal of the firm and a registered patent attorney practicing in the mechanical, electromechanical, and biomedical technologies. Tom is a specialist in clearance (freedom to operate) and infringement opinions. 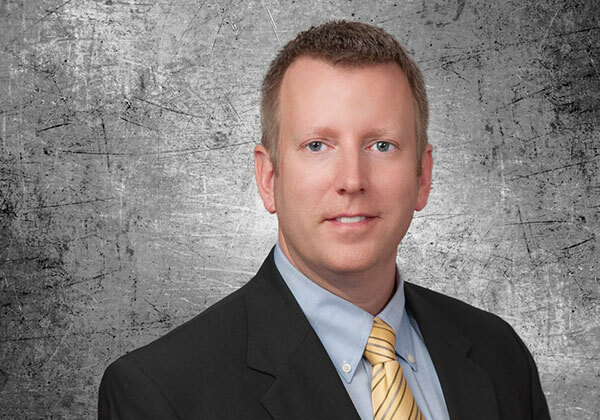 His practice focuses include clearance and infringement investigations in a variety of mechanical technologies, strategic intellectual property counseling and patent procurement. Tom received his B.S. in Mechanical Engineering in 1999 from the University of Missouri – Columbia. He was a summer associate with Hovey, Williams, Timmons and Collins in Kansas City, Missouri (2000) and with Senniger, Powers, Leavitt and Roedel in St. Louis, Missouri (2001), where he worked on a variety of intellectual property matters. Tom received his J.D. from Washington University in St. Louis in 2002 and has been with the firm since March 2003. St. Louis, MO, 2002, J.D.